Note: Your email address is required so you can login to your course, and receive your receipt and instructions. Your personal information is kept confidential. Prices are in USD and EXCLUSIVE of any online sales tax, VAT, etc that may be payable in your region. Special prices for all Premium, Combo and Works courses. 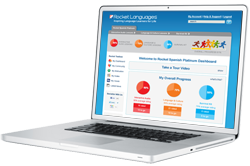 If you want more great deals on Rocket Spanish then take the free trial of the award-winning Rocket Spanish! Can I do a trial/demo before ordering? How does the online version work/synch with the Rocket Languages apps? Once you order you will be able to use the Rocket Languages Android or iOS app. All course work, badges, points, ratings, etc automatically synch between devices. How will I be able to use the course offline? You can use the main features of the course offline using the iOS/Android apps. Or you can download the core components to your computer, smartphone or tablet. It's easy! 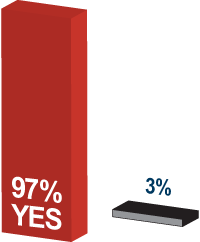 We do have some alternative payment methods, although with these methods access is not instant. You can check them out here. Please contact customer support at [email protected], and we will try to resolve the issue! Question: Do you think Rocket Languages is good value for money? ...your third Rocket Spanish adventure! Do you want to speak Spanish confidently in situations that you encounter? Do you dream of mastering this rich and fascinating language so that you can speak in Spanish naturally, about absolutely anything at all? That's why we offer the Rocket Spanish Platinum course as the third stage of the Rocket Spanish journey! 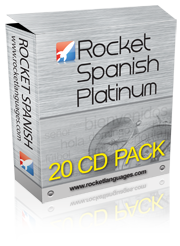 With Rocket Spanish Platinum you will learn to adapt the Spanish you know to different situations, extend your Spanish vocabulary, and get more insights into the culture and the way the Spanish language works. An extra 32 Interactive Audio lessons, with more advanced conversations that you can take part in to become a more confident Spanish speaker. Another 7 practical topics to extend your Spanish vocabulary and improve your Spanish fluency. You will cover cover traveling, socializing, celebrations, business and more! An extra 31 Language and Culture lessons to help you speak Spanish more naturally. These lessons will strengthen your understanding of how the language works, and give you more insights into a wide variety of situations you're likely to encounter. Even more advanced quizzes and self-tests, so you can see how much your Spanish has improved. Just tick the box to get instant access to this incredible Rocket Spanish course combination!